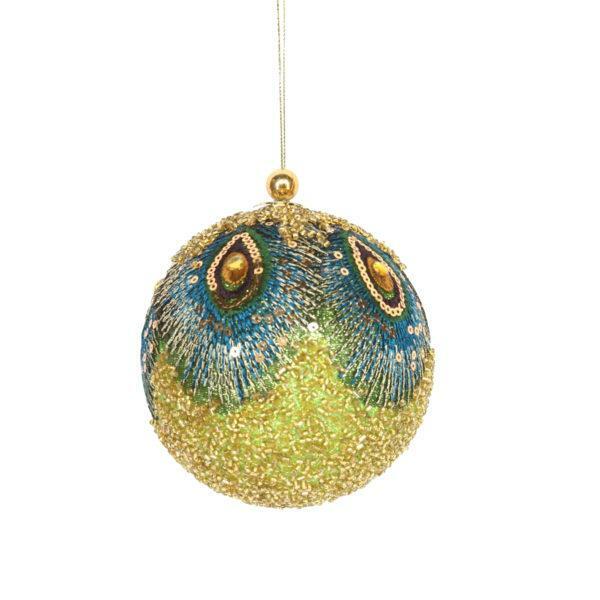 A striking beaded & sequin peacock bauble. 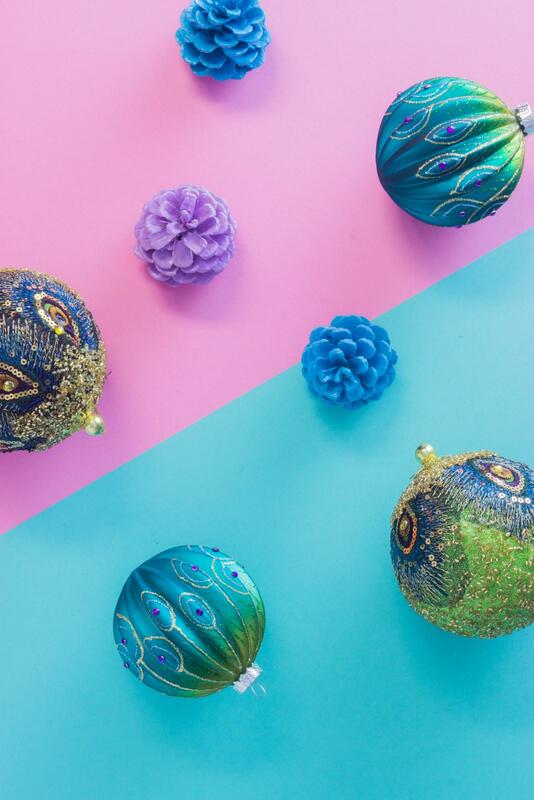 Add vibrant colour to your festive décor with this beaded fabric Peacock bauble from Gisela Graham. Adorned with a striking peacock design in green and blue tones, this bauble is enhanced with gold sequins and beads.